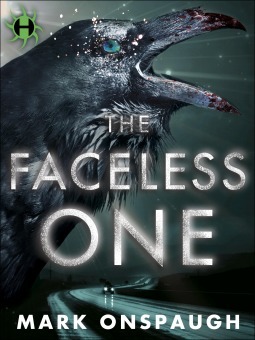 When an archaeological dig in Alaska unearths an ancient mask, an evil god called the faceless one is unleashed. While he can't reach full power until someone puts on the mask, he still manages to brutally murder anyone who comes into contact with it. Jimmy Kalmaku, a Tlingit shaman who is now living in a Seattle retirement home, is the only one with the knowledge required to return the faceless one to his icy prison. This book was unlike any horror novel I've ever read. First of all, the use of Tlingit mythology was a refreshing change. Jimmy is guided in his mission by Raven, and has to make use of the shamanic skills his uncle taught him when he was a child. I don't know enough about the Tlingit to judge the accuracy, but it certainly felt real. Jimmy is a great character with a lot of depth. Trained to be his village's shaman as a kid, he came into the position just as his people began to adopt the white people's ways. Now, living in a retirement home far removed from his native land and from his traditional ways, he feels disconnected. George, Jimmy's best friend, is also a delight, always a loyal friend and eager for an adventure. If I have one complaint about this book it's that Jimmy and George didn't get enough focus, as the story also follows a number of other characters, including the family of the first victim, a New York cop who starts off investigating the murder and gets more involved than he'd planned on, and various lawyers who are connected to the case. The cop, Stan Roberts, does have a good story line of his own and is well-developed, but Jimmy and George were my favourites. I was pleasantly surprised by how good this book was. And while the ending wraps up the story nicely, it does leave an opening for a possible sequel, so here's hoping! 5 stars. Highly recommended for horror fans looking for something a bit out of the ordinary.